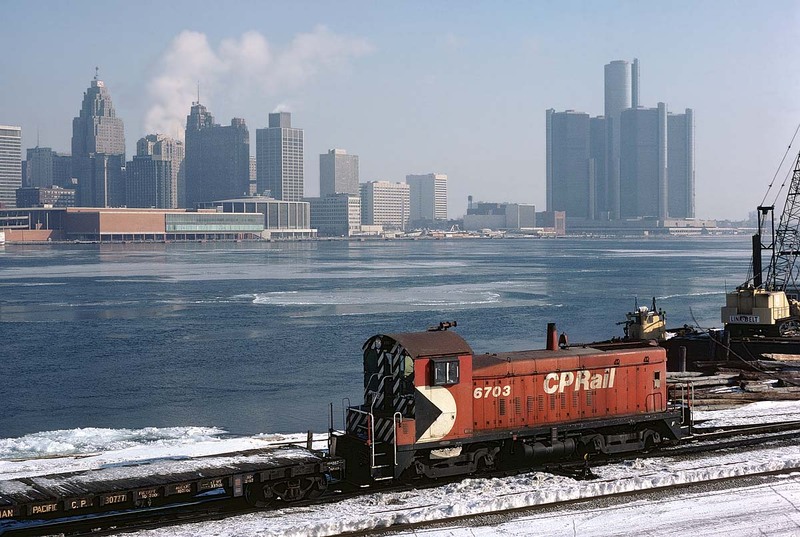 Railpictures.ca - Dave Beach Photo: CP SW8 works the ferry slip in Windsor along the icy Detroit River on March 5, 1978. | Railpictures.ca – Canadian Railway Photography – photographie ferroviaire Canadienne. Caption: CP SW8 works the ferry slip in Windsor along the icy Detroit River on March 5, 1978.